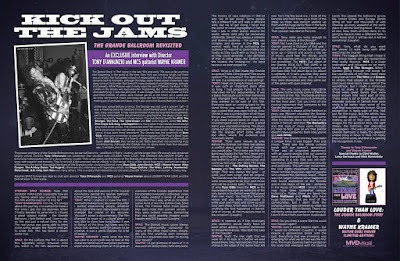 Discussions Magazine Music Blog: LOUDER THAN LOVE: The Grande Ballroom Story: An EXCLUSIVE interview with MC5's WAYNE KRAMER and director TONY D'ANNUNZIO! 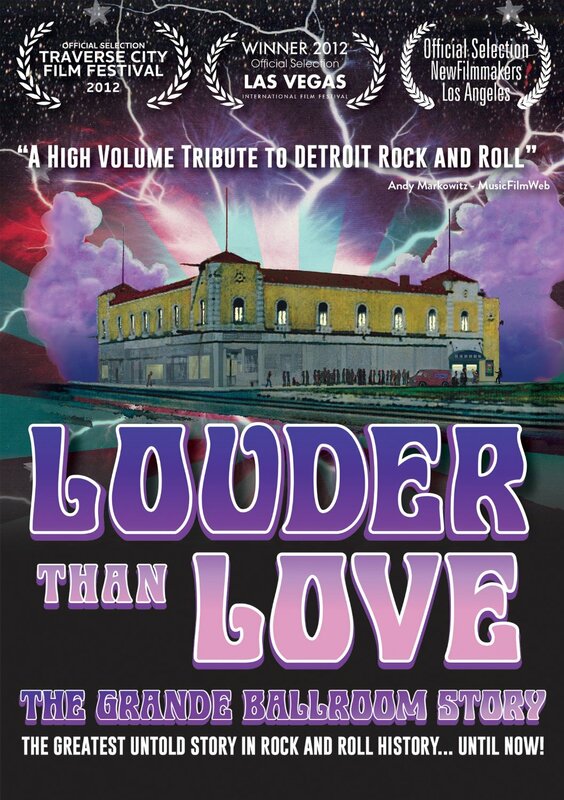 LOUDER THAN LOVE: The Grande Ballroom Story: An EXCLUSIVE interview with MC5's WAYNE KRAMER and director TONY D'ANNUNZIO! STEPHEN SPAZ SCHNEE: Now that Louder Than Love is available, how are you feeling about your journey to make this film and the reaction to it so far? TONY D’ANNUNZIO: For me, it’s always about the journey. I’ve wanted to make a film since I got into the business. When I finally decided to jump into it, I found a great subject matter – the Grande Ballroom. I love Detroit and I love music, so this was just a natural thing for me. The real bonus was being able to meet some iconic people like Wayne and get to know him. This has been a dream come true. SPAZ: On the surface, the film is about this legendary venue. However, once you watch it, the film becomes more about the love and passion of the musical community behind the Grande Ballroom. Is that what drew you to this story? TONY: When I started to make the film, I wanted to make a music documentary. After I started interviewing people, whatever came out of the next interviewee’s mouth changed the course of the storyline. You can’t script a documentary. The film changed to more of a cultural piece – I was able to show how tumultuous it was in Detroit at this time, but there was this place that opened itself for people to be creative. It was a game changer for a lot of people. SPAZ: The Detroit music scene always seemed otherworldly compared to many of the other major cities. Wayne, did you find anything even remotely close to it anywhere else later on during your travels? WAYNE: I’d get glimpses of parts of it. It was such an idiosyncratic time and place. The history of race relations in Detroit was ‘we all get along’. Some people talk a different talk and walk a different walk, but we all got along. I never had the sense of racial segregation in Detroit that I saw in other places around the world, where we’d play for exclusively white kids. Detroit was always a complex and diverse audience – the culture was complex and diverse. In the MC5, we worked really hard at cultivating the audience to respond as passionately and loudly as they could with as much noise as they could generate. I saw glimpses of that in other place, but Detroit was the loudest, the ‘rocking-est’, the most raucous we ever played for. SPAZ: What is it that made the Grande so special? Was it the people? The sound system? The acoustics? The light show? Or was it a combination of everything? TONY: I kept on trying to figure out how it was such an important place after so long. I had people flying in to do interviews for this documentary. It was a place that stuck out in their memories and changed their lives so much that they wanted to be part of this film. Everyone kept on coming back to the same thing: you could be yourself. It was a place that was open to that. Also, I think it was a combination of all those things you mentioned. Wayne says that if you were a good band on stage, you sounded great and if you were a great band, you sounded amazing. The music came out and inspired everyone. Places like the Grande don’t come around too often, where the audience and musicians blend. SPAZ: It seemed as if the musicians and audience would really feed off each other, adding another dimension to the performances. Was that the case at the Grande? WAYNE: Yeah! The first night that we were let in to look at it before we ever played there, they had benches that were sitting at the edge of the dance floor left over from the big band era. I took all the benches and lined them up in front of the stage so there was concert seating up front and this huge dance floor in the back – I wanted it to be a dance/concert venue. That concept was new at the time. SPAZ: Tony, were you lucky enough to ever attend a show at the Grande? TONY: No! I was born in July 1966 and the Grande opened in October of that year. 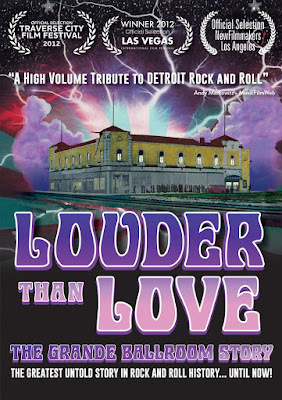 I never attended the venue, but when you grow up in Detroit and you’re a big fan of music, you’d hear the stories, you’d hear the legends and you got to hear the live recordings. The MC5’s live album at the Grande, Kick Out The Jams, is as good as it gets. For a band to come out and have their first album be a live album is unheard of. It tells you that they were comfortable in this venue; this is where they were showcased and they came out of the gates with guns blazing! SPAZ: The only music scene that I think compares to the Grande scene is the Punk movement of the ‘70s. The bands and fans seemed to share a real sense of community for the most part. 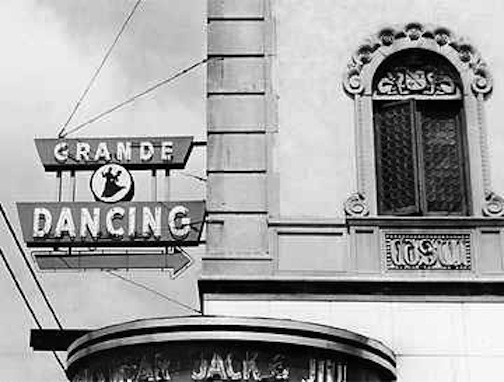 Can you think of any musical movement that compares to the Grande Ballroom scene? TONY: Detroit is always at the forefront in every era. Motown preceded the Grande. Before that there was even the Folk scene. After the Grande, there was a heavy Punk scene in Detroit. And then The Romantics and that type of music came through. It’s hard to NOT pick an era that Detroit doesn’t have a presence. Even now, you’ve got Jack White. WAYNE: The Grande era may have been a unique time. It was bigger than just music. There was the whole cultural break with our parent’s generation. There was an unspoken agreement with all young people that our parents were ruining everything and they were operating in a way that was anti-self-expression, anti-free, oppressive sexually and politically. The anti-war movement, the civil rights movement, there were these terrible drug laws against people who smoked this harmless weed… There was this larger cultural wave happening that found expression at the Grande and in the music of the era – certainly in the music of the MC5 – which I think may have been somewhat unique, historically. Today, there are band like Dave Matthews and Phish who have huge followings that are kind of like communities, but I don’t think the consciousness was as broad as what we had in the late ‘60s in Detroit. There was solidarity, unity and sense of community. I don’t think that’s ever been duplicated. SPAZ: Do you think a scene like this could ever happen again? SPAZ: Tony, what do you want the viewer to walk away with after watching the movie? TONY: The biggest thing that I hope is that these bands get the recognition they really deserve. 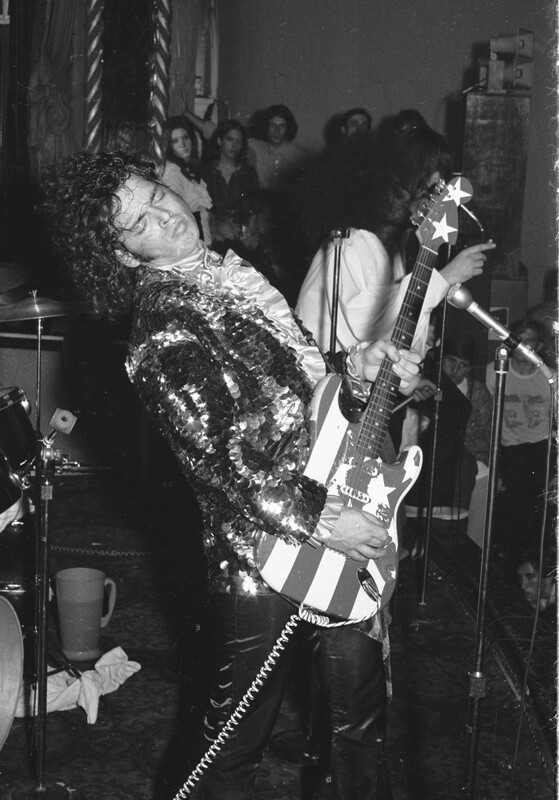 MC5 is a huge inspiration and influence on so many bands. Iggy & The Stooges…When I started going through the songs for the soundtrack of the film, there were many bands from The Who and Cream, to others that played at the Grande that could have easily been part of the soundtrack, but I made a conscious effort to make it all Detroit music. There were great bands that were lesser known that were part of this. There were a lot of bands that didn’t resonate outside of Detroit that were really a lot better than some of the stuff that was nationally known. Giving recognition is really part of this. Not just for the music, but the artists, too. The poster artists – these guys were making up all of their own fonts and images for the posters! Also, the light shows, the fashions, the alternative newspapers – this was all part of it. 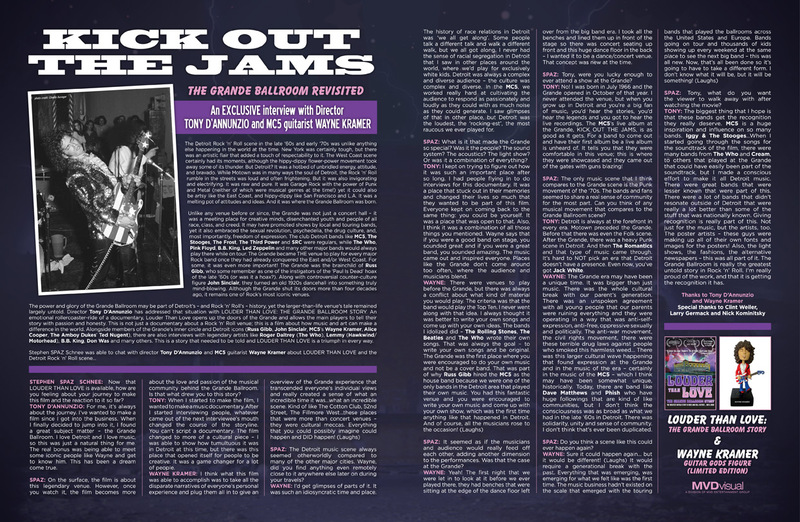 The Grande Ballroom is really the greatest untold story in Rock ‘n’ Roll. I’m really proud of the work, and that it is getting the recognition it has.